The New Zealand army had developed a strong Maori culture since the First World War, so they drew on the culture’s musical nature. 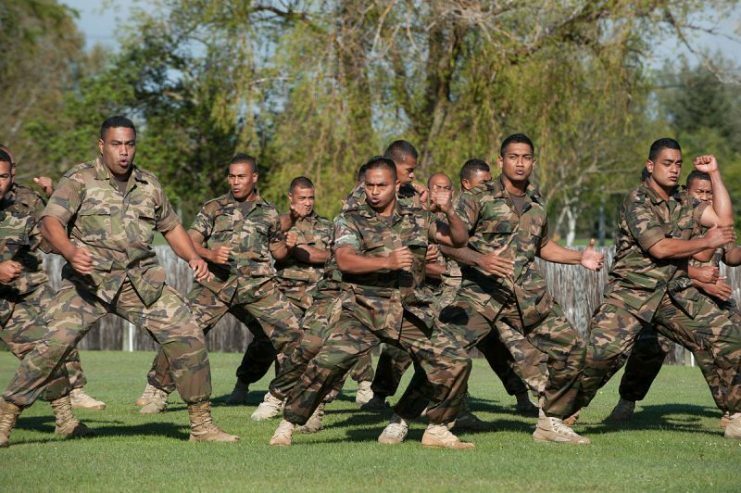 Haka And Guitars, a television documentary released in 2017 has morphed into a feature film, Soldiers Without Guns. The film tells the remarkable story of a peacekeeping mission, staffed mostly by female personnel, that brought peace to the embattled Bougainville Island by employing music and sensitivity. 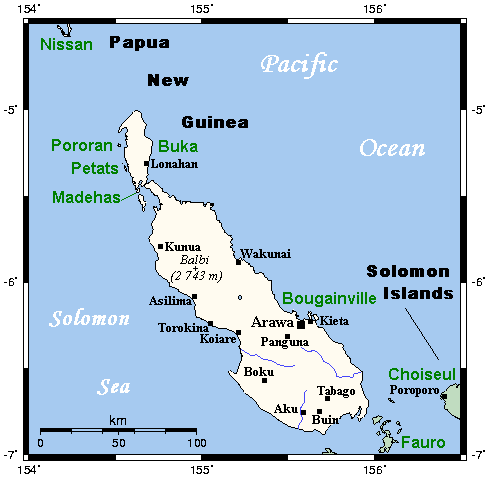 The conflict on Bougainville Island started with a copper mine. The mine, owned by an Australian company and run by Papua New Guinea, opened in the 1960s but local people were angered by the pollution it caused to local water resources which made it unsuitable for local farmers. Locals were further angered by miners who had been imported from Australia and Papua New Guinea. Their dissatisfaction boiled over and by 1988, local guerrillas had taken over the mine. A decade-long conflict followed, during which an estimated 15,000 to 20,000 Bougainvilleans lost their lives. In 2005 Will Watson, a young journalist who had studied the area, decided that the conflict and its special peacekeeping force was a story that the world needed to know about. He set about raising the necessary funds and preparing the required permissions to bring the documentary to life. In 2007 he accompanied his film crew to Bougainville. Brigadier Mortlock, the supervisor of this very unusual and unarmed peacekeeping force was supportive of the project and joined the team. Watson’s original hour-long documentary, Haka And Guitars, took ten years to complete and was finally ready for television thanks to a grant from Maori Television. The documentary went on to win six international awards. Although the story is not widely known, it was a triumph of diplomacy. The Bougainville people had requested that New Zealand lead the peacekeeping mission, along with troops from Fiji and Vanuatu. Their request was granted, and since Bougainville culture and society is matrilineal, with land ownership passed from mother to daughter, the peacekeeping force included a high number of women. In the documentary, Major Fiona Cassidy, an army public relations manager, said that the peacekeeping force that was sent to Bougainville in 1997 was unprecedented and unusual in many ways. The peacekeepers were unarmed and instead of packing guns, they went armed with guitars and female intuition. This made the leadership of the peacekeeping force more than a little concerned as they knew they were heading into an armed conflict in a country that was far from stable. Adding to their concerns was the fact that fourteen peace agreements had already failed. Nevertheless, they hoped to broker a fifteenth peace agreement. Major Cassidy described the devastation they found when they arrived on the island. The countryside and many towns and villages had been destroyed and women and children were hiding in the jungle. It was not an auspicious start to their mission, but they continued undaunted and were determined to achieve peace. Major Cassidy’s role was to facilitate discussion within the community. and for the first time in all the peace talks, women were invited to the table. Major Cassidy said that the change in the negotiations was immediately apparent. The tone and culture of the discussions quickly changed for the better. She says that when the New Zealand peacekeepers entered the debate, they created a space for the talks to be held. 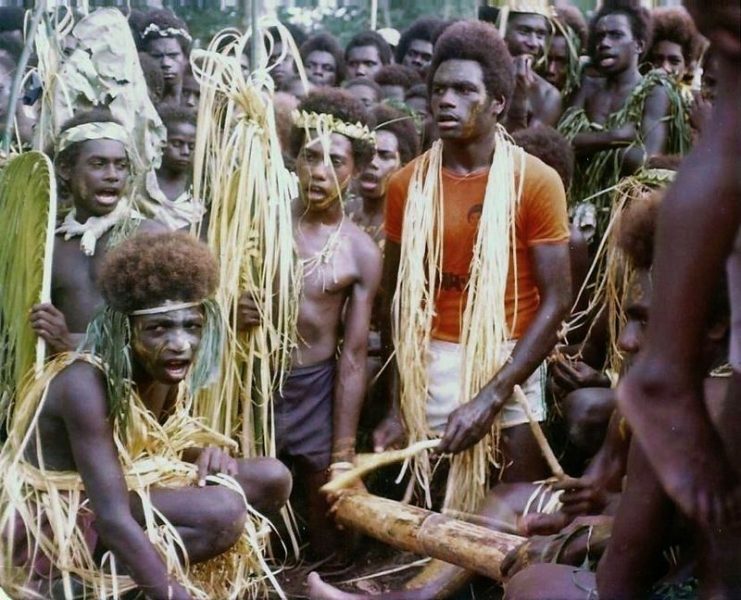 The Bougainville people were tired of the killing but had no idea how to stop it. The Kiwi-run peace accords managed to build a bridge, and with the radically different approach taken by the New Zealand peacekeepers, trust and cooperation slowly emerged. The peacekeepers eventually managed to convince the warring parties to trust each other to the point that they handed in their guns and began to seriously trust each other. After the short documentary aired, Will Watson was approached by a distributor who felt the documentary should be expanded into a feature film. Watson was unable to turn down the opportunity, and using unused archival footage, the feature film Soldiers Without Guns was born. The new film fleshes out the conflict and the peacekeeper’s efforts to stop return the island to peace. The Kiwi-brokered peace has held since, but the process of rebuilding has been slow. A referendum to decide whether Bougainville should become independent from Papua New Guinea is due to be held in October 2019. Meanwhile, Major Cassidy returned to the island 20 years later, where she was delighted to be greeted with the same warmth she received in 1997. This peacekeeping mission was like no other before. Peacekeeping missions all over the world have come and gone with little substantive changes to the underlying conflicts, so perhaps there are lessons to be learned from these New Zealand women and their methodology. After all, it worked wonders and could be worth trying again elsewhere.